Jio MAMI Film Club with Star yesterday, September 20, premiered Google’s ‘India in a Day’ at PVR Icon, Versova. Directed by critically acclaimed director, Richie Mehta and executive produced by Anurag Kashyap and Ridley Scott, the film received an overwhelming response from the audience. The premiere was attended by renowned personalities like Anurag Kashyap, Kiran Rao, Neeraj Ghaywan, Nagesh Kukunoor, Javed Jaffrey, producer of the film, Cassandra Sigsgaard and the members of MAMI Film Club. The premiere was also attended by guests from various parts of India whose footage had been selected for ‘India in a Day’. 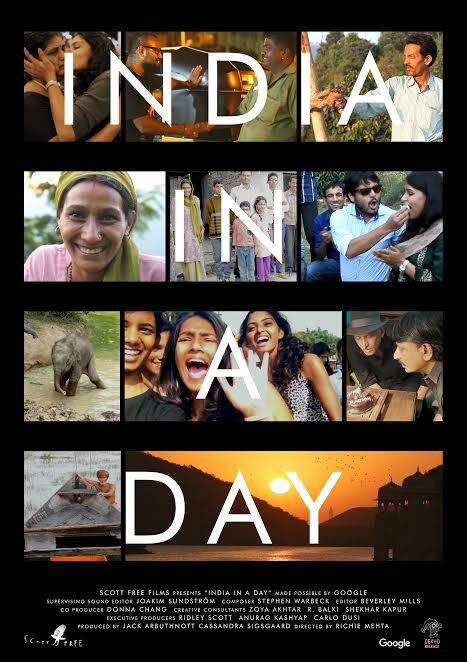 ‘India in a Day’ was also premiered at Toronto International Film Festival this year and was selected for the next generation of film lovers by the TIFF Next Wave Committee. The film that is entirely made from crowd sourced footage will be released throughout India on 23rd September, 2016 by Dekho. Google received footage from all over India. The resulting film offers a remarkable insight into the lives, loves, fears and hopes of people living in India today.